• HTML 4.01 tweaked to conform to XML standards • HTML returned to its roots of defining structure, not presentation But what is it? • Consistency • Efficiency • Compatibility • Accessibility Why use it? e.e. cummings loves XHTML NO: <IMG SRC="/foo/BAR.jpg" ALT="A picture" /> NO: <Img Src="/foo/BAR.jpg" Alt="A picture" /> YES: <img src="/foo/BAR.jpg" alt="A picture" /> Note: It is okay to have MiXed CaSE or ALL CAPS in the attribute values. 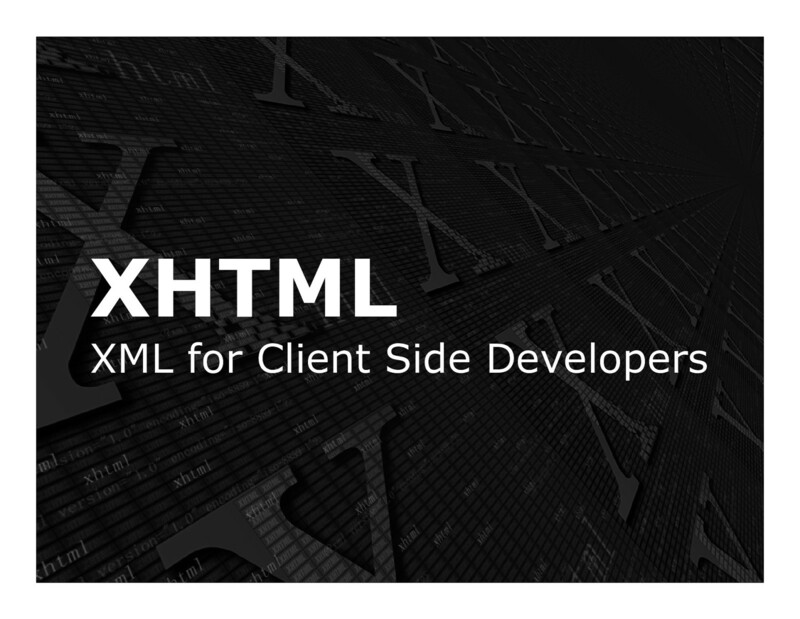 View XHTML: XML for Client-Side Developers on Notist.